In case you are growing bored of interior design of your car, change the dash kits of your Nissan for a new ones. 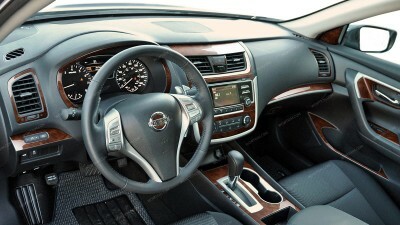 Our wood grain, real wood, aluminum, camouflage & carbon fiber interior dash trim kits for Nissan are made with the latest technologies, following the newest trends of car design! We assure you will get tip top quality modern accessories. Nissan Almera 2004, 2005, 2006, 4 Door, With Digital Climate Control, Full Interior Kit, 16 Pcs. Nissan Almera 2004, 2005, 2006, 4 Door, With Digital Climate Control, Basic Interior Kit, 12 Pcs. Nissan Micra 2004, 2005, 2006, 2007, 2008, 2009, 2010, Interior Dash Kit, With Manual Climate Control, 11 Pcs. Nissan Micra 2004, 2005, 2006, 2007, 2008, 2009, 2010, Interior Dash Kit, Right Hand Drive, With Manual Climate Control, 10 Pcs. Nissan 350Z 2006, 2007, 2008, 2009, With Navigation System, With Manual Transmission, Full Interior Kit, 50 Pcs. Nissan 350Z 2006, 2007, 2008, 2009, With Navigation System, With Automatic Transmission, Full Interior Kit, 51 Pcs. Nissan 350Z 2006, 2007, 2008, 2009, W/o Navigation System, With Automatic Transmission, Full Interior Kit, 47 Pcs. Nissan 350Z 2006, 2007, 2008, 2009, W/o Navigation System, With Manual Transmission, Full Interior Kit, 46 Pcs. Nissan 350Z 2003, 2004, 2005 (Right Hand Drive), Full Interior Kit, Manual, With CD Player Only, 32 Pcs. Nissan 350Z 2003, 2004, 2005 (Right Hand Drive), Full Interior Kit, Manual, With CD and Cassette Player, 32 Pcs. Nissan 350Z 2003, 2004, 2005 (Right Hand Drive), Full Interior Kit, Automatic, With CD and Cassette Player, 33 Pcs. Nissan 350Z 2003, 2004, 2005, Full Interior Kit, Manual, With CD and Cassette Player, 32 Pcs. Nissan 350Z 2003, 2004, 2005, Full Interior Kit, Automatic, With CD and Cassette Player, 33 Pcs. Nissan 350Z 2003, 2004, 2005 (Right Hand Drive), Full Interior Kit, Automatic, With CD Player Only, 33 Pcs. Nissan 350Z 2003, 2004, 2005, Full Interior Kit, Manual, With CD Player Only, 32 Pcs. Nissan 350Z 2003, 2004, 2005, Full Interior Kit, Automatic, With CD Player Only, 33 Pcs. Nissan 350Z 2003, 2004, 2005, Basic Interior Kit, Automatic, With CD and Cassette Player, 20 Pcs. Nissan 350Z 2003, 2004, 2005 (Right Hand Drive), Basic Interior Kit, Manual, With CD Player Only, 19 Pcs. Nissan 350Z 2003, 2004, 2005 (Right Hand Drive), Basic Interior Kit, Automatic, With CD Player Only, 20 Pcs. Nissan 350Z 2003, 2004, 2005, Basic Interior Kit, Manual, With CD Player Only, 19 Pcs. Nissan 350Z 2003, 2004, 2005, Basic Interior Kit, Automatic, With CD Player Only, 20 Pcs. Nissan 350Z 2003, 2004, 2005 (Right Hand Drive), Basic Interior Kit, Manual, With CD and Cassette Player,19 Pcs. Nissan 350Z 2003, 2004, 2005 (Right Hand Drive), Basic Interior Kit, Automatic, With CD and Cassette Player, 20 Pcs. Nissan 350Z 2003, 2004, 2005, Basic Interior Kit, Manual, With CD and Cassette Player, 19 Pcs. Nissan 350Z 2006, 2007, 2008, 2009, With Navigation System, With Manual Transmission, Basic Interior Kit, 23 Pcs. Nissan 350Z 2006, 2007, 2008, 2009, With Navigation System, With Automatic Transmission, Basic Interior Kit, 24 Pcs. Nissan 350Z 2006, 2007, 2008, 2009, W/o Navigation System, With Manual Transmission, Basic Interior Kit, 19 Pcs. Nissan 350Z 2006, 2007, 2008, 2009, W/o Navigation System, With Automatic Transmission, Basic Interior Kit, 20 Pcs. Nissan 350Z 2003, 2004, 2005 (Right Hand Drive), Interior Dash Kit, Optional Door Sills, Without Aluminum Kick Plates Package, 2 Pcs. Nissan 350Z 2003, 2004, 2005, 2006, 2007, 2008, 2009, Interior Dash Kit, Optional Door Sills Without Aluminum Kick Plates Package, 2 Pcs. Nissan 350Z 2003, 2004, 2005 (Right Hand Drive), Interior Dash Kit, Optional Door Sills, With Aluminum Kick Plates Package, 2 Pcs. Nissan 350Z 2003, 2004, 2005, 2006, 2007, 2008, 2009, Interior Dash Kit, Optional Door Sills With Aluminum Kick Plates Package, 2 Pcs. Nissan 350Z Coupe 2003, 2004, 2005, 2006, 2007, 2008, 2009, Stainless Steel Pillar Posts, 2 Pcs. Nissan 350Z 2006, 2007, 2008, 2009, Optional Center Storage Interior Trim Kit, W/o "Z" Cutout, 1 Pcs. Nissan 350Z 2006, 2007, 2008, 2009, Optional Center Storage Interior Trim Kit With "Z" Cutout, 1 Pcs. Nissan 350Z 2003, 2004, 2005 (Right Hand Drive), Interior Dash Kit, Optional Z Insert, 1 Pcs. Nissan 350Z 2006, 2007, 2008, 2009, Interior Dash Kit, Optional Z Insert, 1 Pcs. Nissan 350Z 2003, 2004, 2005, Interior Dash Kit, Optional Z Insert, 1 Pcs. Nissan Cube 2009, 2010, 2011, 2012, 2013, 2014, Full Interior Kit, 38 Pcs. Nissan Cube 2009, 2010, 2011, 2012, 2013, 2014, Basic Interior Kit, 29 Pcs. Nissan Cube 2009, 2010, 2011, 2012, 2013, 2014, Exterior Kit, 4 Pcs. Nissan Cube 2009, 2010, 2011, 2012, 2013, 2014, Interior Dash Kit, Optional Front Door Sills With Chrome "Cube" Lettering, 18 Pcs. Nissan Cube 2009, 2010, 2011, 2012, 2013, 2014, Interior Dash Kit, Optional Above Glove Box Trim With Chrome "Cube" Lettering, 7 Pcs. Nissan Frontier 2002, 2003, 2004, Automatic, With Floor Shifter, Full Interior Kit, 29 Pcs. Nissan Frontier 2013, 2014, 2015, 2016, 2017, 2018, SL/SV/PRO-4X, With Automatic Transmission, Full Interior Kit, 42 Pcs. Nissan Frontier 2002, 2003, 2004, Manual, With Power Windows, Full Interior Kit, 28 Pcs. Nissan Frontier 2013, 2014, 2015, 2016, 2017, 2018, SL/SV/PRO-4X, With Manual Transmission, Full Interior Kit, 41 Pcs. Nissan Frontier 2005, 2006, 2007, 2008, Manual, With Power Windows, Full Interior Kit, 35 Pcs. Nissan Frontier 2005, 2006, 2007, 2008, Automatic, With Power Windows, Full Interior Kit, 36 Pcs. Nissan Frontier 2005, 2006, 2007, 2008, Manual, Without Power Windows, Full Interior Kit, 34 Pcs. Nissan Frontier 2005, 2006, 2007, 2008, Automatic, Without Power Windows, Full Interior Kit, 35 Pcs. Nissan Frontier 2002, 2003, 2004, Manual, Without Power Windows, Full Interior Kit, 24 Pcs. Nissan Frontier 2001, Interior Dash Kit, Manual, 4 Door With Power Windows, 19 Pcs. Nissan Frontier 2001, Interior Dash Kit, Automatic, 4 Door, With Power Windows, 19 Pcs. Nissan Frontier 1998, 1999, 2000, Interior Dash Kit, Automatic, 2 Door, With Power Windows, 20 Pcs. Nissan Frontier 1998, 1999, 2000, Interior Dash Kit, Automatic, 4 Door, With Power Windows, 20 Pcs. Nissan Frontier 2001, Interior Dash Kit, Manual, 2 Door, With Power Windows, 19 Pcs. Nissan Frontier 2001, Interior Dash Kit, Automatic, 2 Door, With Power Windows, 19 Pcs. Nissan Frontier 1998, 1999, 2000, Interior Dash Kit, Manual, 2 Door, With Power Windows, 20 Pcs. Nissan Frontier 1998, 1999, 2000, Interior Dash Kit, Manual, 4 Door With Power Windows, 20 Pcs. Nissan Frontier 2002, 2003, 2004, Manual, With Power Windows, Basic Interior Kit, 14 Pcs. Nissan Frontier 2002, 2003, 2004, Automatic, With Floor Shifter, Basic Interior Kit, 15 Pcs. Nissan Frontier 2001, Interior Dash Kit, Automatic, 2 & 4 Door Without Power Windows, 19 Pcs. Nissan Frontier 1998, 1999, 2000, Interior Dash Kit, Automatic, 2 & 4 Door, Without Power Windows, 20Pcs. Nissan Frontier 2002, 2003, 2004, Automatic, With Column Shifter, Without Power Windows, Full Interior Kit, 23 Pcs. Nissan Frontier 2001, Interior Dash Kit, Manual, 2 & 4 Door, Without Power Windows, 19 Pcs. Nissan Frontier 1998, 1999, 2000, Interior Dash Kit, Manual, 2 & 4 Door, Without Power Windows, 20 Pcs. Nissan Frontier 2013, 2014, 2015, 2016, 2017, 2018, SL/SV/PRO-4X, With Manual Transmission, Basic Interior Kit, 22 Pcs. Nissan Frontier 2013, 2014, 2015, 2016, 2017, 2018, SL/SV/PRO-4X, With Automatic Transmission, Basic Interior Kit, 23 Pcs. Nissan Frontier 2009, 2010, 2011, 2012, Suzuki Equator 2009-2012, SE V6/PRO-4X/LE, With Manual Transmission, With 6 CD Changer, Main Interior Kit, 19 Pcs. Nissan Frontier 2009, 2010, 2011, 2012, Suzuki Equator 2009-2012, SE V6/PRO-4X/LE, With Automatic Transmission, With 6 CD Changer, Main Interior Kit, 20 Pcs. Nissan Frontier 2009, 2010, 2011, 2012, Suzuki Equator 2009-2012, SE V6/PRO-4X/LE, With Manual Transmission, With Single CD Player, Main Interior Kit, 21 Pcs. Nissan Frontier 2009, 2010, 2011, 2012, Suzuki Equator 2009-2012, SE V6/PRO-4X/LE, With Automatic Transmission, With Single CD Player, Main Interior Kit, 22 Pcs. Nissan Frontier 2005, 2006, 2007, 2008, Manual, With Power Windows, Basic Interior Kit, 15 Pcs. Nissan Frontier 2005, 2006, 2007, 2008, Automatic, With Power Windows, Basic Interior Kit, 16 Pcs. Nissan Frontier 2001, Manual, or Automatic, 2 & 4 Door, Basic Interior Kit, Without Power Windows, 15 Pcs. Nissan Frontier 2005, 2006, 2007, 2008, Manual, Without Power Windows, Basic Interior Kit, 14 Pcs. Nissan Frontier 2005, 2006, 2007, 2008, Automatic, Without Power Windows, Basic Interior Kit, 15 Pcs. Nissan Frontier 1998, 1999, 2000, Interior Dash Kit, Without Power Windows, 16 Pcs. Nissan Frontier 2009, 2010, 2011, 2012, Suzuki Equator 2009, 2010, 2011, 2012, SE V6/PRO-4X/LE, Addition To Main Interior Kit, 19 Pcs. Nissan Frontier 2013, 2014, 2015, 2016, 2017, 2018, SL/SV/PRO-4X, Interior Dash Kit, Optional Overhead Trim With Sunglasses Storage, With Homelink, 6 Pcs. Nissan Frontier 2005, 2006, 2007, 2008, Optional Overhead Console Interior Kit, 5 Pcs. Nissan GT-R 2008, 2009, 2010, 2011, 2012, 2013, 2014, 2015, 2016, Main Interior Kit, 39 Pcs. Nissan GT-R 2008, 2009, 2010, 2011, 2012, 2013, 2014, 2015, 2016, Exterior Kit, Optional Rear Bumper Accent, 2 Pcs. Nissan GT-R 2008, 2009, 2010, 2011, 2012, 2013, 2014, 2015, 2016, Optional Door Sills Interior Kit, 2 Pcs. Nissan GT-R 2008, 2009, 2010, 2011, 2012, 2013, 2014, 2015, 2016, Exterior Kit, 5 Pcs. Nissan Juke 2015, 2016, 2017, Full Interior Kit, 48 Pcs. Nissan Juke 2011, 2012, 2013, 2014, Full Interior Kit, 50 Pcs. Nissan Juke 2015, 2016, 2017, Basic Interior Kit, 34 Pcs. Nissan Juke 2011, 2012, 2013, 2014, Basic Interior Kit, 36 Pcs. Nissan Juke 2011, 2012, 2013, 2014, 2015, 2016, 2017, 2016, 2017, Exterior Kit, Full Interior Kit, 14 Pcs. Nissan Juke 2011, 2012, 2013, 2014, 2015, 2016, 2017, Stainless Steel Pillar Posts, 4 Pcs. Nissan Juke 2011, 2012, 2013, 2014, 2015, 2016, 2017, Basic Exterior Kit, 4 Pcs. Nissan Juke 2011, 2012, 2013, 2014, 2015, 2016, 2017, Exterior Kit, Optional Fuel Door, 1 Pcs. Nissan Leaf 2013, 2014, 2015, 2016, 2017, With Navigation System, Full Interior Kit, 39 Pcs. Nissan Leaf 2011-2012, Full Interior Kit, 21 Pcs. Nissan Leaf 2013, 2014, 2015, 2016, 2017, With Navigation System, Basic Interior Kit, 24 Pcs. Nissan Leaf 2011-2012, Basic Interior Kit, 15 Pcs. Nissan Leaf 2011, 2012, 2013, 2014, 2015, 2016, 2017, Exterior Kit, 10 Pcs. Nissan Maxima 2007-2008, With Navigation System, Full Interior Kit, 61 Pcs. Nissan Maxima 2007-2008, W/o Navigation System, Full Interior Kit, 62 Pcs. Nissan Maxima 2004, 2005, 2006, Automatic, Full Interior Kit, With Door Panels, 48 Pcs. Nissan Maxima 2004, 2005, 2006, Manual, Full Interior Kit, With Door Panels, 46 Pcs. Nissan Maxima 2016, 2017, Full Interior Kit, 47 Pcs. Nissan Maxima 2004, 2005, 2006, Automatic, Full Interior Kit, Without Door Panels, 44 Pcs. Nissan Maxima 2004, 2005, 2006, Manual, Full Interior Kit, Without Door Panels, 42 Pcs. Nissan Maxima 2004, 2005, 2006, With OEM, Full Interior Kit, 40 Pcs., OEM Match. Nissan Maxima 2000-2001, Full Interior Kit, Manual, Radio Without CD Player, 40 Pcs. Nissan Maxima 2000-2001, Full Interior Kit, Manual, Radio With CD Player, 39 Pcs. Nissan Maxima 1992, 1993, 1994, Manual, Full Interior Kit, 21 Pcs. Nissan Maxima 2002-2003, Full Interior Kit, Automatic, Without Navigation System, 43 Pcs. Nissan Maxima 1989, 1990, 1991, Full Interior Kit, Automatic, 20 Pcs. Nissan Maxima 2000-2001, Full Interior Kit, Automatic, Radio Without CD Player, 40 Pcs. Nissan Maxima 2000-2001, Full Interior Kit, Automatic, Radio With CD Player, 39 Pcs. Nissan Maxima 1992, 1993, 1994, Automatic, Full Interior Kit, 21 Pcs. Nissan Maxima 1989, 1990, 1991, Full Interior Kit, Manual, 20 Pcs. Nissan Maxima 2009, 2010, 2011, 2012, 2013, 2014, 2015, Without Navigation System, Main Interior Kit, 39 Pcs. Nissan Maxima 2007-2008, W/o Navigation System, Basic Interior Kit, 28 Pcs. Nissan Maxima 2007-2008, With Navigation System, Basic Interior Kit, 27 Pcs. Nissan Maxima 2002-2003, Interior Dash Kit, Without Navigation System, 31 Pcs., OEM Match. Nissan Maxima 2009, With Navigation System, Main Interior Kit, 36 Pcs. Nissan Maxima 2010, 2011, 2012, 2013, 2014, 2015, With Navigation System, Main Interior Kit, 36 Pcs. Nissan Maxima 2016, 2017, Basic Interior Kit, 29 Pcs. Nissan Maxima 1989, 1990, 1991, Basic Interior Kit, Automatic, 18 Pcs. Nissan Maxima 2000-2001, Basic Interior Kit, Automatic, Radio Without CD Player, 28 Pcs. Nissan Maxima 2000-2001, Basic Interior Kit, Automatic, Radio With CD Player, 27 Pcs. Nissan Maxima 1992, 1993, 1994, Automatic, Basic Interior Kit, 19 Pcs. Nissan Maxima 1989, 1990, 1991, Basic Interior Kit, Manual, 18 Pcs. Nissan Maxima 2004, 2005, 2006, Automatic, Basic Interior Kit, 16 Pcs. Nissan Maxima 2000-2001, Basic Interior Kit, Manual, Radio Without CD Player, 28 Pcs. Nissan Maxima 2000-2001, Basic Interior Kit, Manual, Radio With CD Player, 27 Pcs. Nissan Maxima 1992, 1993, 1994, Manual, Basic Interior Kit, 19 Pcs. Nissan Maxima 2002-2003, Basic Interior Kit, Automatic, Without Navigation System, 25 Pcs. Nissan Maxima 2004, 2005, 2006, Manual, Basic Interior Kit, 16 Pcs. Nissan Maxima 1995, 1996, 1997, 1998, 1999, Interior Dash Kit, With Manual Transmission, 24 Pcs. Nissan Maxima 2004, 2005, 2006, With OEM, Basic Interior Kit, 16 Pcs., OEM Match. Nissan Maxima 1995, 1996, 1997, 1998, 1999, Exterior Trim Kit, 11 Pcs. Nissan Maxima 1995, 1996, 1997, 1998, 1999, Interior Dash Kit, Match OEM, 15 Pcs. Nissan Maxima 2004, 2005, 2006, 2007, 2008, Exterior Kit, Full Interior Kit, 19 Pcs. Nissan Maxima 1995, 1996, 1997, 1998, 1999, Interior Dash Kit, Optional Door Panels, 4 Pcs. Nissan Maxima 2009, 2010, 2011, 2012, 2013, 2014, 2015, Match OEM Interior Kit, 29 Pcs. Nissan Maxima 2009, 2010, 2011, 2012, 2013, 2014, 2015, Addition To Main Interior Kit, 15 Pcs. Nissan Maxima 2016, 2017, Exterior Kit, Full Interior Kit, 10 Pcs. Nissan Maxima 2009, 2010, 2011, 2012, 2013, 2014, 2015, Exterior Kit, 7 Pcs. Nissan Maxima 2004, 2005, 2006, 2007, 2008, Basic Exterior Kit, 6 Pcs. Nissan Maxima 2016, 2017, Stainless Steel Pillar Posts, 6 Pcs. Nissan Maxima 2009, 2010, 2011, 2012, 2013, 2014, 2015, Stainless Steel Pillar Posts, 6 Pcs. Nissan Maxima 1995, 1996, 1997, 1998, 1999, Stainless Steel Pillar Posts, 6 Pcs. Nissan Maxima 2016, 2017, Basic Exterior Kit, 6 Pcs. Nissan Maxima 2004, 2005, 2006, 2007, 2008, Stainless Steel Pillar Posts, 4 Pcs. Nissan Maxima 2009, 2010, 2011, 2012, 2013, 2014, 2015, Stainless Steel Pillar Posts, 4 Pcs. Nissan Maxima 2000, 2001, 2002, 2003, Stainless Steel Pillar Posts, 6 Pcs. Nissan Maxima 2009, 2010, 2011, 2012, 2013, 2014, 2015, Optional Overhead Console Interior Kit, 6 Pcs. Nissan Maxima 2000, 2001, 2002, 2003, Exterior Kit, 6 Pcs. Nissan Maxima 2000-2001, Interior Dash Kit, Gauge Bezel, 2 Pcs. Nissan Maxima 2000, 2001, 2002, 2003, Stainless Steel Pillar Posts, 4 Pcs. Nissan Maxima 1995, 1996, 1997, 1998, 1999, Interior Dash Kit, Optional Gauge Bezel Accent, 1 Pcs. Nissan Maxima 2016, 2017, Optional Front Overhead Console Interior Kit, 4 Pcs. Nissan Maxima 2004, 2005, 2006, Optional Rear Console Interior Kit, With Rear Bucket Seats, 4 Pcs. Nissan Maxima 2002-2003, Interior Dash Kit, Door Panels, 4 Pcs. Nissan Maxima 2002-2003, Overhead Console Interior Kit, 5 Pcs. Nissan Maxima 2016, 2017, Exterior Kit, Optional Fuel Door, 1 Pcs. Nissan Murano 2015, 2016, 2017, Full Interior Kit, 55 Pcs. Nissan Murano 2003, 2004, 2005, Full Interior Kit, With Door Panels 55 Pcs. Nissan Murano 2006, 2007, 2008, Full Interior Kit, With Door Panels, 53 Pcs. Nissan Murano 2003, 2004, 2005, Full Interior Kit, Without Door Panels 49 Pcs. Nissan Murano 2009, 2010, 2011, 2012, 2013, 2014, Without OEM Wood, Main Interior Kit, 61 Pcs. Nissan Murano 2006, 2007, 2008, Full Interior Kit, Without Door Panels, 47 Pcs. Nissan Murano 2009, 2010, 2011, 2012, 2013, 2014, Interior Dash Kit, Without OEM Wood, Dealer Special, 42 Pcs. Nissan Murano 2015, 2016, 2017, Basic Interior Kit, 30 Pcs. Nissan Murano 2015, 2016, 2017, Exterior Kit, Full Interior Kit, 20 Pcs. Nissan Murano 2006, 2007, 2008, Basic Interior Kit, 29 Pcs. Nissan Murano 2003, 2004, 2005, Basic Interior Kit, 29 Pcs. Nissan Murano 2009, 2010, 2011, 2012, 2013, 2014, Stainless Steel Pillar Posts, 8 Pcs. Nissan Murano 2015, 2016, 2017, Stainless Steel Pillar Posts, 8 Pcs. Nissan Murano 2003, 2004, 2005, 2006, 2007, 2008, Stainless Steel Pillar Posts, 8 Pcs. Nissan Murano 2009, 2010, 2011, 2012, 2013, 2014, Exterior Kit, 8 Pcs. Nissan Murano 2015, 2016, 2017, Basic Exterior Kit, 8 Pcs. Nissan Murano 2003, 2004, 2005, 2006, 2007, 2008, Exterior Kit, 10 Pcs. Nissan Murano 2009, 2010, 2011, 2012, 2013, 2014, Interior Dash Kit, Optional Rear Console And Cupholder (Non-S Models), 6 Pcs. Nissan Murano 2009, 2010, 2011, 2012, 2013, 2014, Stainless Steel Pillar Posts, 4 Pcs. Nissan Murano 2015, 2016, 2017, Optional Front Overhead Console Interior Kit, 4 Pcs. Nissan Murano 2009, 2010, 2011, 2012, 2013, 2014, Optional Overhead Console Interior Kit, 5 Pcs. Nissan Murano 2009, 2010, 2011, 2012, 2013, 2014, Exterior Kit, Optional Fuel Door, 1 Pcs. Nissan Murano 2015, 2016, 2017, Exterior Kit, Optional Fuel Door, 1 Pcs. Nissan NV 2012, 2013, 2014, Full Interior Kit, 48 Pcs. Nissan NV 2012, 2013, 2014, Basic Interior Kit, 30 Pcs. Nissan NV 2012, 2013, 2014, Interior Dash Kit, Optional Front Overhead Console With Storage, 4 Pcs. Nissan NV 2012, 2013, 2014, Interior Dash Kit, Optional Front Overhead Console Without Storage, 2 Pcs. Nissan Armada 2008, 2009, 2010, 2011, 2012, 2013, 2014, Without OEM Wood, Full Interior Kit, 70 Pcs. Nissan Armada 2004, 2005, 2006, 2007, Without Navigation, Full Interior Kit, 76 Pcs. Nissan Armada 2004, 2005, 2006, 2007, With Navigation, Full Interior Kit, 74 Pcs. Nissan Armada 2004, 2005, 2006, 2007, Optional Rear Overhead Console Interior Kit, 14 Pcs. Nissan Armada 2008, 2009, 2010, 2011, 2012, 2013, 2014, Optional Rear Overhead Console Interior Kit, 13 Pcs. Nissan Armada 2008, 2009, 2010, 2011, 2012, 2013, 2014, With Or Without OEM Wood, Basic Interior Kit, 38 Pcs. Nissan Armada 2004, 2005, 2006, 2007, 2008, 2009, 2010, 2011, 2012, 2013, 2014, 2015, Exterior Kit, Full Interior Kit, 21 Pcs. Nissan Armada 2008, 2009, 2010, 2011, 2012, 2013, 2014, Interior Dash Kit, Optional Front Overhead W/o Sunroof, 13 Pcs. Nissan Armada 2004, 2005, 2006, 2007, 2008, 2009, 2010, 2011, 2012, 2013, 2014, 2015, Stainless Steel Pillar Posts, 6 Pcs. Nissan Armada 2004, 2005, 2006, 2007, 2008, 2009, 2010, 2011, 2012, 2013, 2014, 2015, Basic Exterior Kit, 6 Pcs. Nissan Armada 2008, 2009, 2010, 2011, 2012, 2013, 2014, Interior Dash Kit, Optional Front Overhead With Sunroof, 10 Pcs. Nissan Armada 2004, 2005, 2006, 2007, Interior Dash Kit, Optional Front Overhead With Sunroof, 8 Pcs. Nissan Pathfinder 2013, 2014, 2015, 2016, Over OEM Trim, Full Interior Kit, 55 Pcs. Nissan Pathfinder 2005, 2006, 2007, W/o Navigation System, With Digital A/C, Full Interior Kit, 39 Pcs. Nissan Pathfinder 2005, 2006, 2007, W/o Navigation System, With Manual A/C, Full Interior Kit, 38 Pcs. Nissan Pathfinder 2005, 2006, 2007, With Navigation System, Full Interior Kit, 43 Pcs. Nissan Pathfinder 2003-2004, Interior Dash Kit, LE, With Door Panels, 30 Pcs., OEM Match. Nissan Pathfinder 2003-2004, SE, Automatic, with Message Center, Basic Interior Kit, 42 Pcs. Nissan Pathfinder 1996, 1997, 1998, 1999, Interior Dash Kit, 4WD, With Automatic Transmission, With Overhead With Message Center, 16 Pcs. Nissan Pathfinder 2008, 2009, 2010, 2011, 2012, (SE/LE) Full Interior Kit, 43 Pcs. Nissan Pathfinder 2003-2004, SE, Automatic, W/o Message Center, Basic Interior Kit, 42 Pcs. Nissan Pathfinder 1996, 1997, 1998, 1999, Interior Dash Kit, 4WD, With Automatic Transmission, With Overhead Without Message Center, 15 Pcs. Nissan Pathfinder 1996, 1997, 1998, 1999, Interior Dash Kit, 2WD, With Automatic Transmission, With Overhead Without Message Center, 16 Pcs. Nissan Pathfinder 2003-2004, SE, Manual, Basic Interior Kit, 42 Pcs. Nissan Pathfinder 2001-2002, With Automatic Transmission, Basic Interior Kit, 37 Pcs. Nissan Pathfinder 1999.5-2000, Interior Dash Kit, Automatic, Without Message Center, 4WD, 15 Pcs. Nissan Pathfinder 1999.5-2000, Interior Dash Kit, Automatic, Without Message Center, 2WD, 16 Pcs. Nissan Pathfinder 1999.5-2000, Interior Dash Kit, Automatic, With Message Center, 4WD, 16 Pcs. Nissan Pathfinder 2001-2002, With Manual Transmission, Basic Interior Kit, 37 Pcs. Nissan Pathfinder 1996, 1997, 1998, 1999, Interior Dash Kit, With Manual Transmission, With Overhead Without Message Center, 13 Pcs. Nissan Pathfinder 2013, 2014, 2015, 2016, Over OEM Trim, Basic Interior Kit, 26 Pcs. Nissan Pathfinder/Pick up 1987, 1988, 1989, 1990, 1991, 1992, 1993, Main Interior Kit, 19 Pcs. Nissan Pathfinder 2008, 2009, 2010, 2011, 2012, (SE/LE) Basic Interior Kit, 30 Pcs. Nissan Pathfinder 2005, 2006, 2007, W/o Navigation System, With Digital A/C, Basic Interior Kit, 18 Pcs. Nissan Pathfinder 2005, 2006, 2007, W/o Navigation System, With Manual A/C, Basic Interior Kit, 16 Pcs. Nissan Pathfinder 2005, 2006, 2007, With Navigation System, Basic Interior Kit, 22 Pcs. Nissan Pathfinder 1994-1995, Basic Interior Kit, 16 Pcs. Nissan Pathfinder 2003-2004, Interior Dash Kit, LE, Without Door Panels, 26 Pcs., OEM Match. Nissan Pathfinder 2013, 2014, 2015, 2016, 2017, 2018, Exterior Kit, 10 Pcs. Nissan Pathfinder 2013, 2014, 2015, 2016, Stainless Steel Pillar Posts, 8 Pcs. Nissan Pathfinder 2003-2004, Interior Dash Kit, Glove Box, and Doors Arm Rests, 6 Pcs. Nissan Pathfinder 1996, 1997, 1998, 1999, 2000, Nissan Pathfinder 2003-2004, Interior Dash Kit, Rear Speakers Surround, 2 Pcs. Nissan Pathfinder 1996, 1997, 1998, 1999, 2000, Nissan Pathfinder 2003-2004, Interior Dash Kit, Front Speakers Surround, 2 Pcs. Nissan Pathfinder 2013, 2014, 2015, 2016, Optional Overhead Console Interior Kit, 7 Pcs. Nissan Pathfinder 2005, 2006, 2007, Optional Overhead Interior Trim Kit, 7 Pcs. Nissan Pathfinder 2008, 2009, 2010, 2011, 2012, Interior Dash Kit, Optional Front Overhead Console W/o Sunroof (SE Only), 6 Pcs. Nissan Pathfinder 2001-2002, Interior Dash Kit, Optional Overhead W/o Message Center, 4 Pcs. Nissan Pathfinder 2001-2002, Nissan Pathfinder 2002, Interior Dash Kit, Optional Overhead With Message Center, 4 Pcs. Nissan Pathfinder 2005, 2006, 2007, Nissan Pathfinder 2008, 2009, 2010, 2011, 2012, Interior Dash Kit, Optional Overhead Air Vents, 4 Pcs. Nissan Pathfinder 2001-2002, Nissan Pathfinder 2001, Interior Dash Kit, Optional Overhead With Message Center, 4 Pcs. Nissan Pathfinder 2013, 2014, 2015, 2016, Exterior Kit, Optional Fuel Door, 1 Pcs. Nissan Pathfinder 2008, 2009, 2010, 2011, 2012, Interior Dash Kit, Optional Glove Box Trim With Chrome "Pathfinder" Logo, 13 Pcs. Nissan Pathfinder 2008, 2009, 2010, 2011, 2012, Interior Dash Kit, Optional Glove Box Trim W/o Logo, 1 Pcs. Nissan Quest 2007, 2008, 2009, 2010, Overhead With Skyview, Full Interior Kit, 78 Pcs. Nissan Quest 2007, 2008, 2009, 2010, Overhead W/o Skyview, With DVD, Full Interior Kit, 70 Pcs. Nissan Quest 2007, 2008, 2009, 2010, Overhead W/o Skyview, W/o DVD, Full Interior Kit, 67 Pcs. Mercury Villager/Nissan Quest 1999, 2000, 2001, 2002, 2003, Full Interior Kit, 27 Pcs. Nissan Quest 2004, 2005, 2006, Full Interior Kit, With SkyView, 59 Pcs. Nissan Quest 2011, 2012, 2013, 2014, 2015, 2016, For Models With Navigation System, Main Interior Kit, 27 Pcs. Nissan Quest 2004, 2005, 2006, Full Interior Kit, Without SkyView, With DVD, 52 Pcs. Nissan Quest 2011, 2012, 2013, 2014, 2015, 2016, For Models Without Navigation System, Main Interior Kit, 29 Pcs. Nissan Quest 2004, 2005, 2006, Full Interior Kit, Without SkyView, Without DVD, 51 Pcs. Mercury Villager/Nissan Quest 1999, 2000, 2001, 2002, 2003, Basic Interior Kit, 17 Pcs. Nissan Quest 2007, 2008, 2009, 2010, Basic Interior Kit, 24 Pcs. Mercury Villager 1993, 1994, 1995, Nissan Quest 1993-1995, Full Interior Kit, 22 Pcs. Mercury Villager 1996, 1997, 1998, Nissan Quest 1996, 1997, 1998, Full Interior Kit, 18 Pcs. Nissan Quest 2004, 2005, 2006, Basic Interior Kit, 22 Pcs. Nissan Quest 2011, 2012, 2013, 2014, 2015, 2016, Interior Dash Kit, Optional Front/Rear Cup Holder Console Overlay, 7 Pcs. Nissan Quest 2004, 2005, 2006, 2007, 2008, 2009, 2010, Exterior Kit, 11 Pcs. Mercury Villager 1993, 1994, 1995, Nissan Quest 1993-1995, Interior Dash Kit, Cluster 1 Pcs. Nissan Quest 2004, 2005, 2006, 2007, 2008, 2009, 2010, Stainless Steel Pillar Posts, 2 Pcs. Mercury Villager/Nissan Quest 1999, 2000, 2001, 2002, 2003, Interior Dash Kit, Overhead Console With Storage, 4 Pcs. Mercury Villager/Nissan Quest 1999, 2000, 2001, 2002, 2003, Interior Dash Kit, Overhead Console Without Storage, 2 Pcs. Nissan Rogue 2014, 2015, 2016, Deluxe Interior Kit, 59 Pcs. Nissan Rogue 2012-2013, For Models With 4.3 Inch Screen Radio With Backup Camera, Deluxe Interior Kit, 62 Pcs. Nissan Rogue 2011, 2012, 2013, For Models With Base Radio Or With 5 Inch Navigation System, Deluxe Interior Kit, 64 Pcs. Nissan Rogue 2012-2013, For Models With 4.3 Inch Screen Radio With Backup Camera, Full Interior Kit, 58 Pcs. Nissan Rogue 2011, 2012, 2013, For Models With Base Radio Or With 5 Inch Navigation System, Full Interior Kit, 60 Pcs. Nissan Rogue 2008, 2009, 2010, Full Interior Kit, 66 Pcs. Nissan Rogue 2014, 2015, 2016, Full Interior Kit, 45 Pcs. Nissan Rogue 2014, 2015, 2016, Basic Interior Kit, 26 Pcs. Nissan Rogue 2008, 2009, 2010, Basic Interior Kit, 36 Pcs. Nissan Rogue 2011, 2012, 2013, For Models With Base Radio Or With 5 Inch Navigation System, Basic Interior Kit, 33 Pcs. Nissan Rogue 2012-2013, For Models With 4.3 Inch Screen Radio With Backup Camera, Basic Interior Kit, 31 Pcs. Nissan Rogue 2008, 2009, 2010, 2011, 2012, 2013, Exterior Kit, Full Interior Kit, 21 Pcs. Nissan Rogue 2014, 2015, 2016, Stainless Steel Pillar Posts, 8 Pcs. Nissan Rogue 2014, 2015, 2016, Exterior Kit, 8 Pcs. Nissan Rogue 2008, 2009, 2010, 2011, 2012, 2013, Stainless Steel Pillar Posts, 10 Pcs. Nissan Rogue 2008, 2009, 2010, 2011, 2012, 2013, Optional Door Speakers Surround Interior Kit, 4 Pcs. Nissan Rogue 2008, 2009, 2010, 2011, 2012, 2013, Basic Exterior Kit, 6 Pcs. Nissan Rogue 2008, 2009, 2010, Interior Dash Kit, Optional Center Air Vent Trim With Center Speaker, 4 Pcs. Nissan Rogue 2008, 2009, 2010, Interior Dash Kit, Optional Center Air Vent Trim Without Center Speaker, 3 Pcs. Nissan Rogue 2008, 2009, 2010, 2011, 2012, 2013, Stainless Steel Pillar Posts, 4 Pcs. Nissan Rogue 2014, 2015, 2016, Optional Overhead Console Interior Kit With Sunroof, 7 Pcs. Nissan Rogue 2011, 2012, 2013, Optional Overhead Console Interior Kit, 6 Pcs. Nissan Rogue 2014, 2015, 2016, Exterior Kit, Optional Fuel Door, 1 Pcs. Nissan Versa 2012, 2013, 2014, With Automatic Transmission, Full Interior Kit, 53 Pcs. Nissan Versa 2007, 2008, 2009, 2010, 2011, For Models With Center Armrest, Full Interior Kit, 58 Pcs. Nissan Versa 2007, 2008, 2009, 2010, 2011, For Models Without Center Armrest, Full Interior Kit, 55 Pcs. Nissan Versa 2012, 2013, 2014, With Manual Transmission, Full Interior Kit, 41 Pcs. Nissan Versa 2007, 2008, 2009, 2010, 2011, Basic Interior Kit, 41 Pcs. Nissan Versa 2012, 2013, 2014, With Automatic Transmission, Basic Interior Kit, 32 Pcs. Nissan Versa 2012, 2013, 2014, With Manual Transmission, Basic Interior Kit, 26 Pcs. Nissan Versa 2007, 2008, 2009, 2010, 2011, Exterior Kit (Hatchback Only), 18 Pcs. Nissan Versa 2007, 2008, 2009, 2010, 2011, Exterior Kit (Sedan Only), 14 Pcs. Nissan Versa Hatchback 2007, 2008, 2009, 2010, 2011, Stainless Steel Pillar Posts, 8 Pcs. Nissan Versa Sedan 2007, 2008, 2009, 2010, 2011, Stainless Steel Pillar Posts, 6 Pcs. Nissan Versa Sedan 2012, 2013, 2014, 2015, Stainless Steel Pillar Posts, 6 Pcs. Nissan Versa 2012, 2013, 2014, Exterior Kit (Sedan Only), 6 Pcs. Nissan Versa Hatchback/Sedan 2007, 2008, 2009, 2010, 2011, Stainless Steel Pillar Posts, 4 Pcs. Nissan Versa 2007, 2008, 2009, 2010, 2011, Optional Overhead Console Interior Kit, 5 Pcs. Nissan Versa 2012, 2013, 2014, Exterior Kit, Optional Fuel Door (Sedan Only), 1 Pcs. Nissan Versa 2007, 2008, 2009, 2010, 2011, Exterior Kit, Optional Fuel Door, 1 Pcs. Nissan Versa Note 2014, 2015, 2016, With Automatic Transmission, With Heated Seats, Full Interior Kit, 48 Pcs. Nissan Versa Note 2014, 2015, 2016, With Automatic Transmission, With Heated Seats, Basic Interior Kit, 34 Pcs. Nissan Versa Note 2014, 2015, 2016, Exterior Kit, Full Interior Kit, 8 Pcs. Nissan Versa Note 2014, 2015, 2016, Basic Exterior Kit, 6 Pcs. Nissan Versa Note 2014, 2015, 2016, Exterior Kit, Optional Fuel Door, 2 Pcs. Nissan 300ZX 1990, 1991, 1992, 1993, 1994, 1995, 1996, Main Interior Kit, 17 Pcs. Nissan 240SX 1989, 1990, 1991, 1992, 1993, 1994, Interior Dash Kit, Automatic Transmission, 14 Pcs. Nissan 240SX 1989, 1990, 1991, 1992, 1993, 1994, Interior Dash Kit, Manual Transmission, 14 Pcs.